Home body scanning has arrived, and it’s powered by Intel® RealSense™ technology. From fad diets to step counters, there is no shortage of options for people looking to lose weight and improve their fitness on their own terms. Finding proof that these efforts are working is much more difficult. Weight alone is not a good measurement of health or fitness, especially since muscle weighs more than fat. And scales that measure body mass index (BMI) or body fat percentage are notoriously unreliable. How do you see a full picture of what’s happening with your body? Enter Naked*, a revolutionary new body scanner powered by Intel® RealSense™ technology. 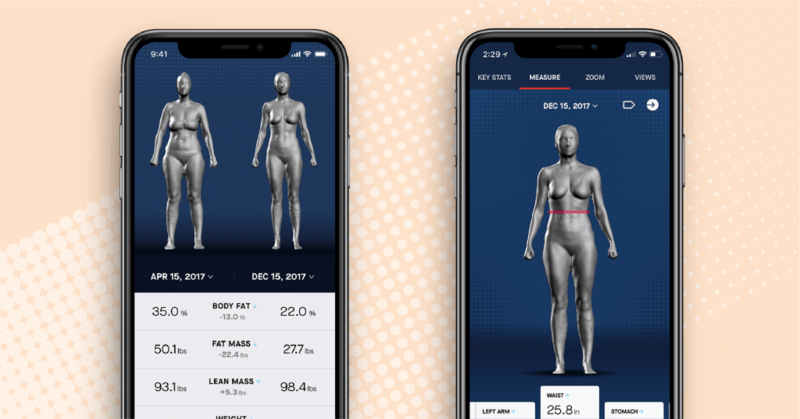 The product, which consists of a high-tech mirror and rotating scale, allows users to get detailed statistics about their bodies whenever they want, and track results over time. After three years of development, the company began shipping its scanner to pre-order customers in August. The way the tech works is deceptively simple. Customers stand on the scale while it rotates in front of the mirror, allowing the embedded Intel RealSense D410 depth cameras to generate highly accurate 3D images. These images, and their associated raw data, are processed in the mirror. A compressed scan file is then sent via the Naked Cloud* to the mobile app, which provides detailed analysis and various helpful data points and charts. 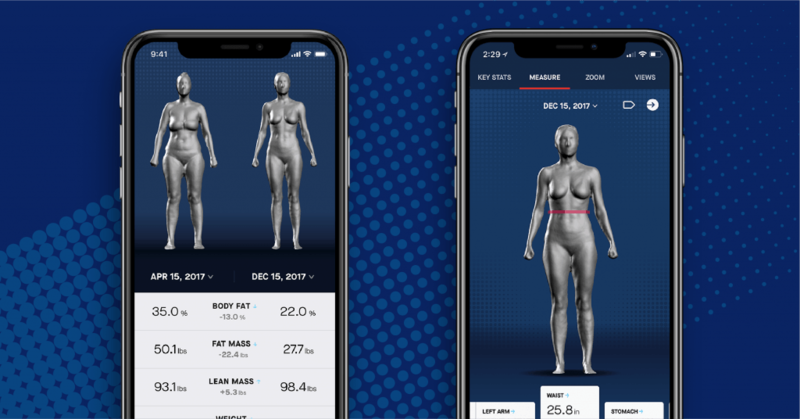 All this data helps customers “see” results from their exercise and diet decisions more quickly than by measuring body weight or clothing fit, helping them stay motivated and achieve their goals. At the heart of Naked’s solution are three Intel® RealSense™ D400 series depth cameras, which work together to capture an accurate-to-5mm body scan. The Intel camera’s ability to reliably capture the image with such precision was a major factor for Naked Labs and it is this precision that allows the device to track tiny changes in the user’s body. After scanning, the device’s laptop-grade Intel® Celeron® processor G3930T quickly converts the roughly 4GB of raw data into a compressed, 3-4 MB 3D version of the user. The scans are then automatically synced to the user’s Android* or iOS* smartphone — all in a matter of minutes. The device also features a 64GB Intel® SSD E 5100s Series for fast, durable, low-power storage. Intel’s partnership with Naked Labs is a great example of how Intel is enabling innovative products that enrich people’s lives, according to Sagi Ben Moshe, vice president and general manager of the Intel RealSense Group. The Intel technology provided the company a simple, elegant, and cost-effective way to capture and process raw depth data — allowing them to focus on the meat of their solution: the algorithms that interpret that data for users and the app through which users engage with those metrics. The result is a super sleek device, intuitive app, and a process that takes about 15 seconds a day but has the power to transform users’ lives. And Naked Labs isn’t stopping there. The company envisions a future where the world isn’t designed for just any body, but for your body. Think clothing tailored to the 10th of an inch, dynamic health care plans, playing yourself in a video game — all enabled by your precise digital body model. Fitness is just the beginning. In the meantime, Naked* will be available for wide distribution later this year.